Rebecca Hemmer has worked in human services and in particular with children in need for over twenty years. With a Master of Arts in Mental Health Counseling, she spent most of her career working in a residential program for a Vermont nonprofit agency serving youth and families across the state. In 2016, Rebecca decided to move closer to family in New Hampshire and began considering her career opportunities. Two family members already employed at Spaulding shared their excitement about the organization and culture, which inspired her to accepting a position as a Family Worker at Spaulding Youth Center. Rebecca instantly felt comfortable in Spaulding’s caring, passionate environment. She was and still is pleasantly surprised at how much the organization values family involvement – an aspect that fits within her own belief system. She loves seeing students’ family members at campus events and witnessing their pride in their child’s accomplishments and successes. Since many parents have traveled a challenging road riddled with worry and unanswered needs, Rebecca recognizes the hope that Spaulding Youth Center gives parents and students that success, both socially and academically, is possible. Rebecca’s favorite thing about working at Spaulding is interacting with the kids and close-knit staff. Building positive relationships is the strongest healing foundation for the children so Rebecca works diligently to build trusting relationships with the kids every day. She also notes that the communications between several internal teams as well as external teams are seamless and instrumental in the children’s success. 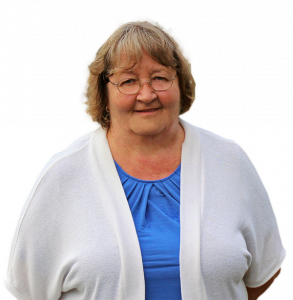 In her spare time, Rebecca enjoys gardening, visiting the seacoast, writing poetry and crocheting.